And You Can See The Panama Canal! My friend Kent reminds us we should root for Green Bay Packers in the Super Bowl.Â Why you ask? Every Red Blooded American should jump in line to support the Green Bay Packers! The Packers defeated the Chicago Bears on Sunday afternoon thus earning them the opportunity to go to the Super Bowl. By doing so, they saved the Hard-Working, Red Blooded, Taxpaying Americans literally several million dollars of tax money. How you say? Simple… we were told that if the Chicago Bears had won that President Obama (and probably his family) would be attending the Super Bowl to cheer on his hometown team. Since the Bears lost…the President won’t be attending. The money saved from not using Air Force 1, the limosines, all the additional security, and let’s not forget Michelle Obama’s entourage, is literally several million dollars! Therefore every American should cheer on the Green Bay Packers at the Super Bowl to show them our gratitude. Who’s The Biggest Loser In Eqypt? The presidential elections were to take place in 2011 and if the 82 year-old current President Hosni Mubarak had chosen not to run, it was widely thought that his London based son Gamal Mubarak was expected to be his successor. Egypt’s elections are neither free nor fair, and experts agree that just as in ancient Egypt, a dynastic transition is likely. Mohamed ElBaradei was a name that kept cropping up as a potential rival to Mubarak. The “…former director of the International Atomic Energy Agency and 2005 Nobel Prize winner announced he would run for president given guarantees of a free election.” However, he wasn’t given much chance. There are constitutional amendments, that “… render succession far more likely [and] make any particular alternative unlikely…” and there was no national movement that would slow down either Mubarak. All that’s changed with even the military suggesting it’s time for Mubarak to go and word that Mohamed ElBaradei wants to form a unity government with the Muslim Brotherhood, which had been outlawed. The biggest loser seems to me to be Gamal Mubarak! If you are a woman get off your asses and support her if she runs. We’ve had a woman run England, Margaret Thatcher; a woman run India, Indira Gandhi; a woman run Israel, Golda Meir to name a few. You’ve had the vote since the ’20s and not once have you ever had a chance for a woman to challenge the good old boys. It is about time we gave a woman a chance. My God she couldn’t do worse than some of the bozos that Americans elected in the last 200 years. You can’t say everything is going well in this country. It’s about time that we change directions. I read and heard African-Americans say they were voting for Obama because finally they had one of their own they could support. Well, Female-Americans drop the differences, drop the labels and give allegiance to one of your own. As a Male-American I’m willing to give the woman the keys, just like I gave up the checkbook to my wife who manages the budget better than I do. Play in Montana Theater calls for beheading of Sarah Palin. The play, which was presented at the Missoula Children’s Theater in Missoula, Montana on January 23, was a production of Gilbert and Sullivan’s ‘The Mikado.’ But the play’s director decided at the last minute to add a bit of ‘humor’ to the production by including a scene which called for the beheading of Sarah Palin. The theater is supported by, in part, The National Endowment for the Arts. is this the civility we can expect from the left? I remember my first purchase of Gold coins in 2004. I took $1,200 and bought three coins. Nothing has changed my bullish outlook. I still think as our government spends more money than it takes in; as long as it talks about our Sputnik moment is to spend more money; as long as we run $1.5 trillion deficits, I will expect Gold to move higher. What will be the eventual top? I have no idea, but if the choice is to sell Gold and accept paper with no intrinsic value in exchange, I will continue to hold Gold. Eric Sprott, Chief Executive Officer & Portfolio Manager of Sprott Asset Management, thinks gold may trade at $2,150 by spring and Silver at $50. He’s got a darn good track record. His estimate is as good as any. Hat Tip Tyler Durden at Zero Hedge. 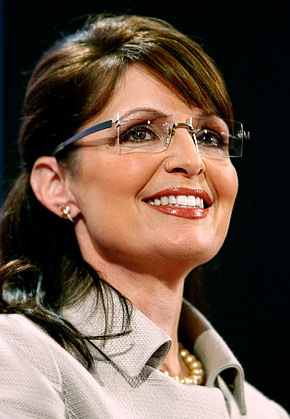 Sarah Palin takes Steve Stromberg at the “Washington Post” to school over Sputnik.